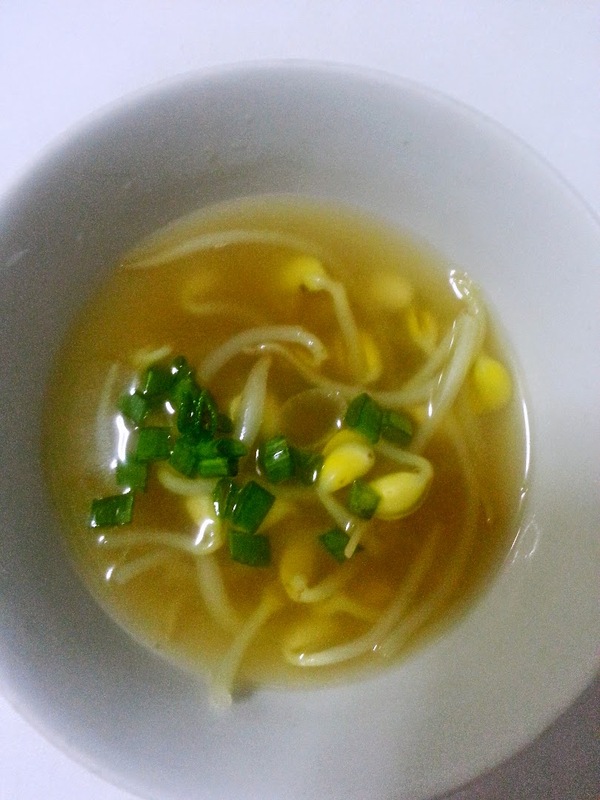 I have a craving for this refreshing soup. When I drink it in Korea, it doesn't come piping hot, it's usually room temperature. Glad to have found this authentic recipe. This recipe is good for 2 servings. 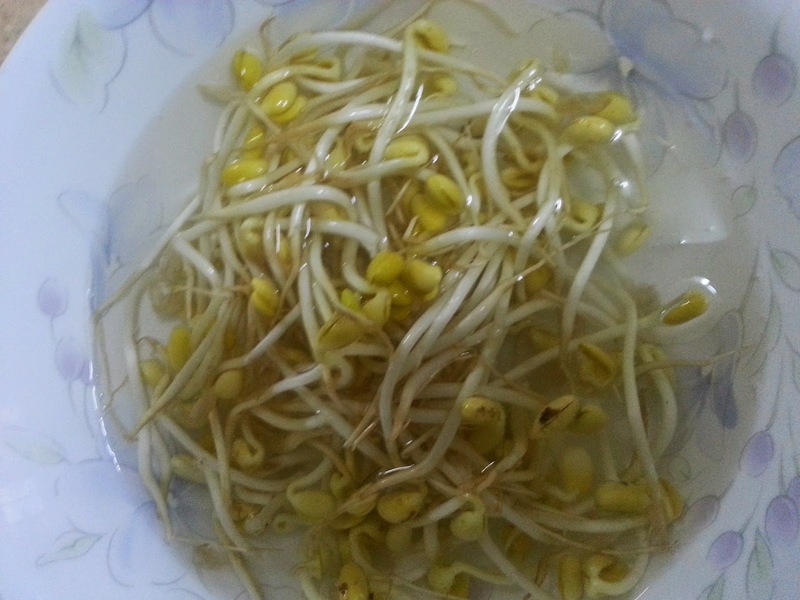 Soak the beansprouts in water and remove the tail. Boil 2.5 cups (500ml) of water and add in 0.5 cube of ikan bilis stock (or use 5 ikan bilis but be sure to remove it after boiling for 10 minutes). 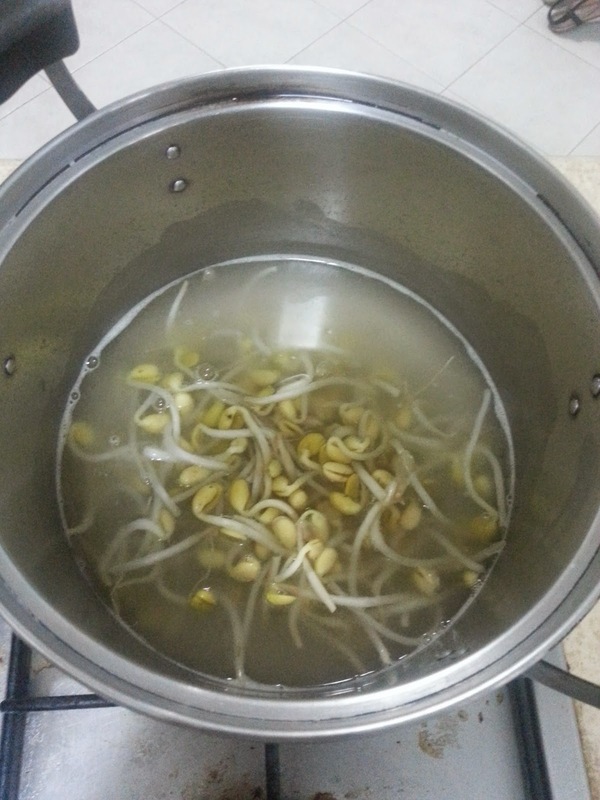 Add in the beansprouts and boil for a further 7 minutes. Then add in seasoning (B) and some spring onion. Boil for 1 more minute and turn off the fire.